So what is it that makes these people so successful? Hard work? Dumb luck? Trust fund? For some, their success does come from hard work and dumb luck. And of course it doesn't hurt to be born into an already rich and successful family. But we are not talking about these people. We are talking about those who have learned the secrets to make life work for them rather than against them. We are talking about the powerful energies of the Universe that are available to all who are willing to learn how to control them with some very simple techniques. These powerful universal energies for centuries have been called by many names: Prana, Chi, The Force. These are the energies of Creation. But what is not widely known is that these energies did not disappear right after "The Beginning". Creation is a continual process, it never stopped, it is happening right now. The other secret is that we are all participants in Creation. We all have the ability to harness these creative energies to literally build our reality around us. We do it every minute, every second of our lives. However, most people have no idea that they are the creators, the builders of their lives. They do not realize that their very thoughts are constructing their reality from second to second. For most people this is why their lives are so chaotic and unformed. Their lives are their very thoughts made into reality. Wouldn't it be nice to learn how to control your thoughts and harness this energy? Wouldn't it be nice to use this energy to get what you want out of life...to obtain your hearts desires? 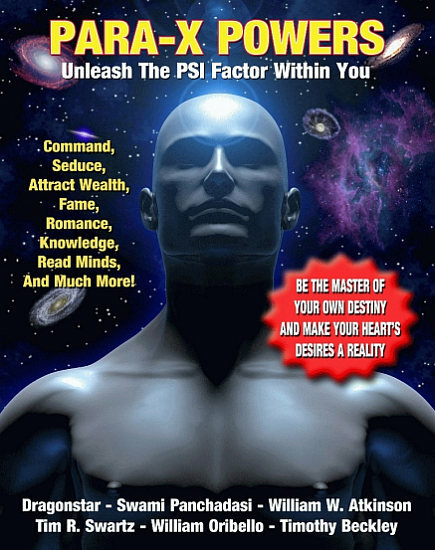 This is what this book is all about, how to control your thoughts and in turn, how to control the creative energies that flow through the Universe, and through all of us. Let us start by giving a name for this energy...let's call it Para-X Powers. Para-X Powers is an actual living force. It is the force that makes plants grow - and animal bodies grow - and which enables all living things to move and act. It is the force which enables the growing mushroom to rise up the slabs of paving stone - or causes the roots of a tree to split open the great boulders, into the crevices of which they have crept. Para-X Power is not an abstraction or speculative nothing, it is an existent, living, mental, acting force, manifesting sometimes with an appalling power, and sometimes with a delicate, subtle touch that is almost imperceptible, but which accomplishes its purpose. For centuries, the techniques of Para-X Powers have been taught by Mystery Schools and secret Mystical Orders. These mystical teachings were intended only for the few initiates who dedicated their lives for that particular order or society. Because of this, mystical teachings like Para-X Powers were hidden within a lot of nonsense words, phrases and parables. Only the select few could understand the true meanings hidden within the metaphysical garbage. Practically every Holy book ever produced was written to be confusing. Look at the Bible for example. It is full of contradictions and vague, meaningless parables. But to the select few who had received the proper teachings, the true esoteric meaning of the Bible is very clear. 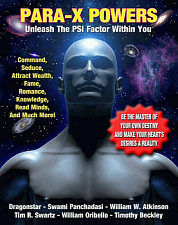 With the help of some of the worlds leading esoteric researchers, Dragonstar, Swami Panchadasi, Tim R. Swartz, William Walker Atkinson, William Oribello, and Timothy Green Beckley, this book cuts through all of the meaningless metaphysical nonsense and goes directly to the heart of the teachings. 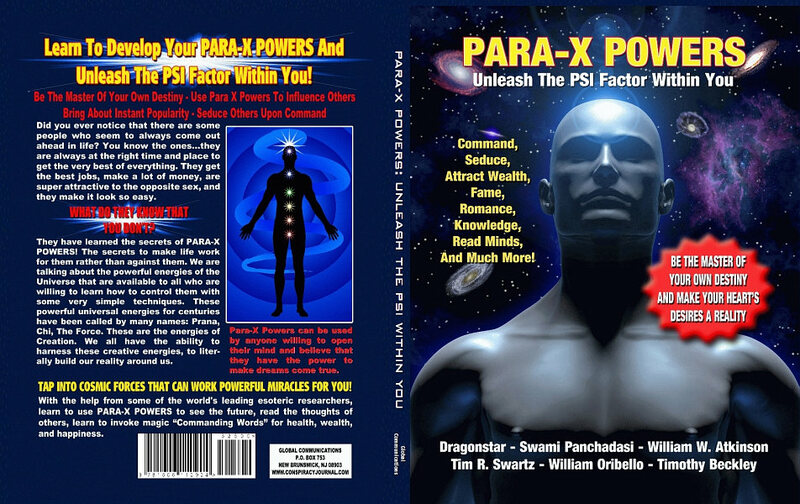 Para-X Powers can be used by anyone who is willing to open their mind and believe that they have the power to make dreams come true.